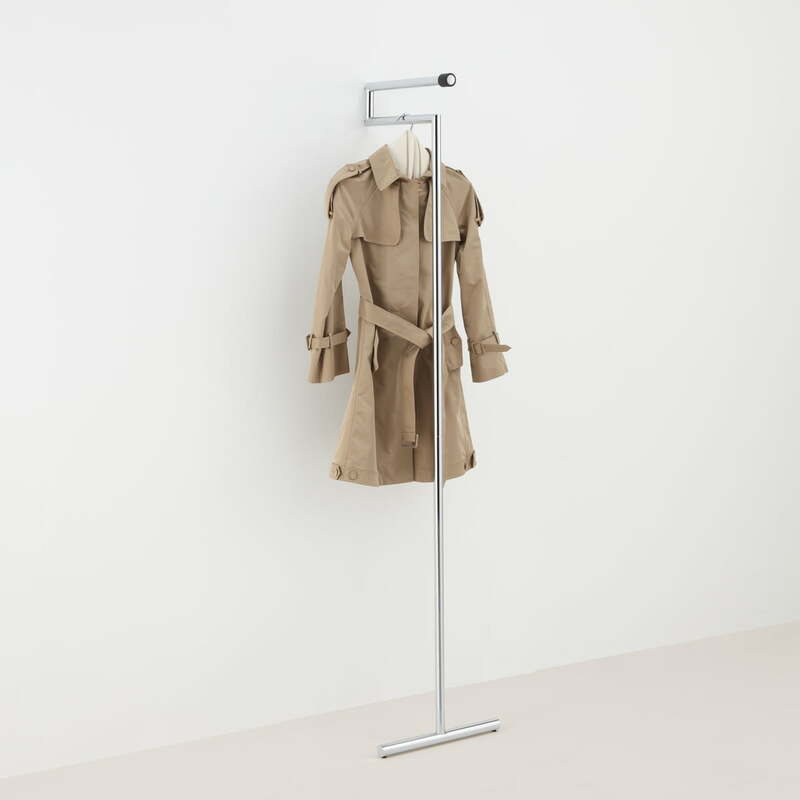 The Snap leaning coat rack from Mox was designed by Beat Glässer and is an innovative but very simple construction for the entrance area, which holds jackets and coats reliably. Snap is simply leaned against the wall without the need of screws or glue. This makes it completely flexible, space-saving and therefore also suitable for narrow hallways and even allows to be moved easily in order to make some space if needed. The more coats and jackets are on hangers on the coat rack, the more stable the construction gets. 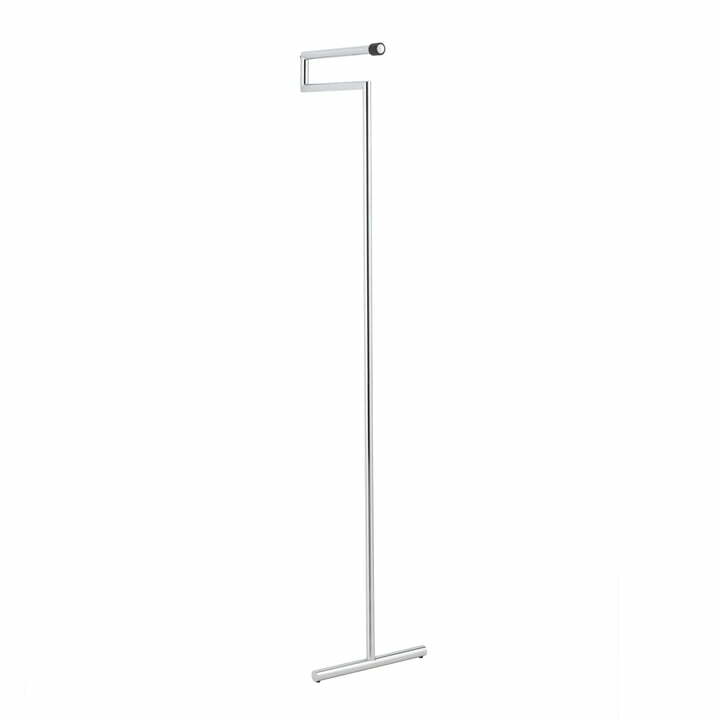 The clothes rack is made of chromed steel tubes with a glossy or brushed finish. 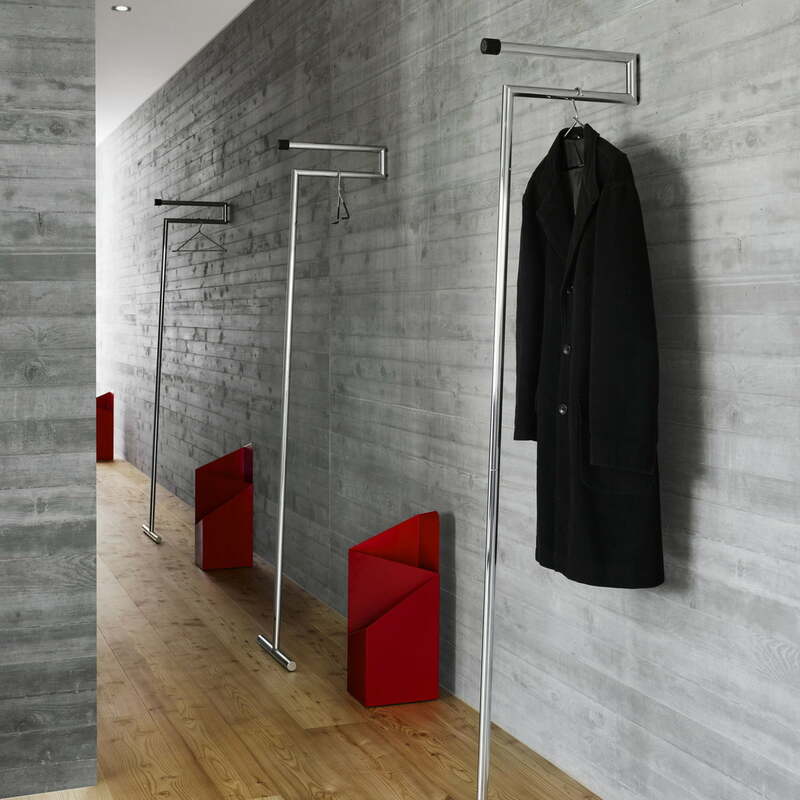 Individual product view of the Snap leaning coat rack by Mox in brushed chrome. 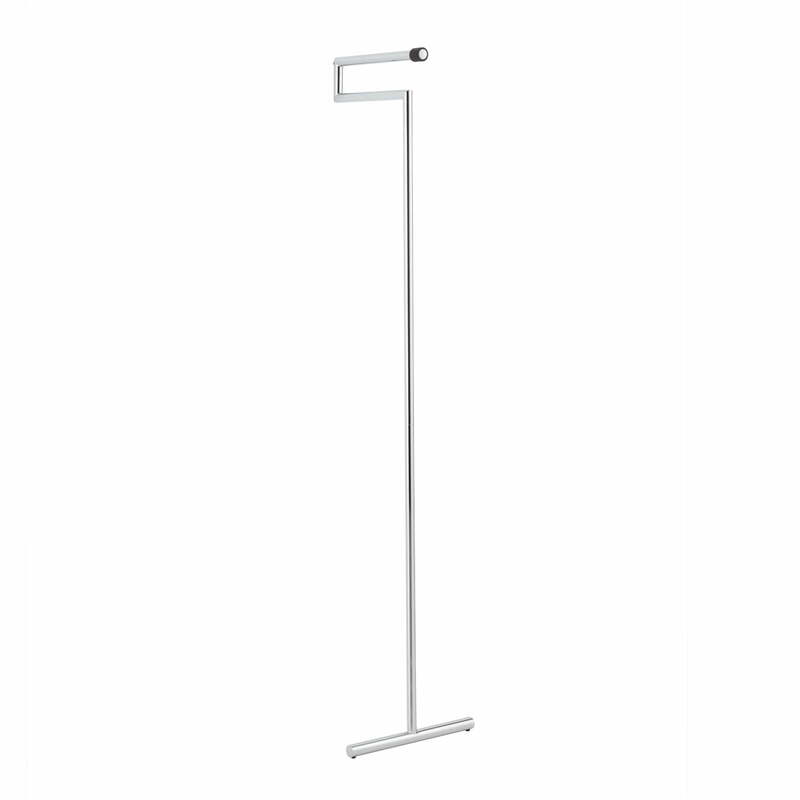 The coat rack designed by Beat Glässer is made of steel tubing in brushed chrome. Snap is simply leaned against the wall without the need of screws or glue. This makes it completely flexible, space-saving and therefore also suitable for narrow corridors and it even allows to be easily moved in order to make some space if needed. 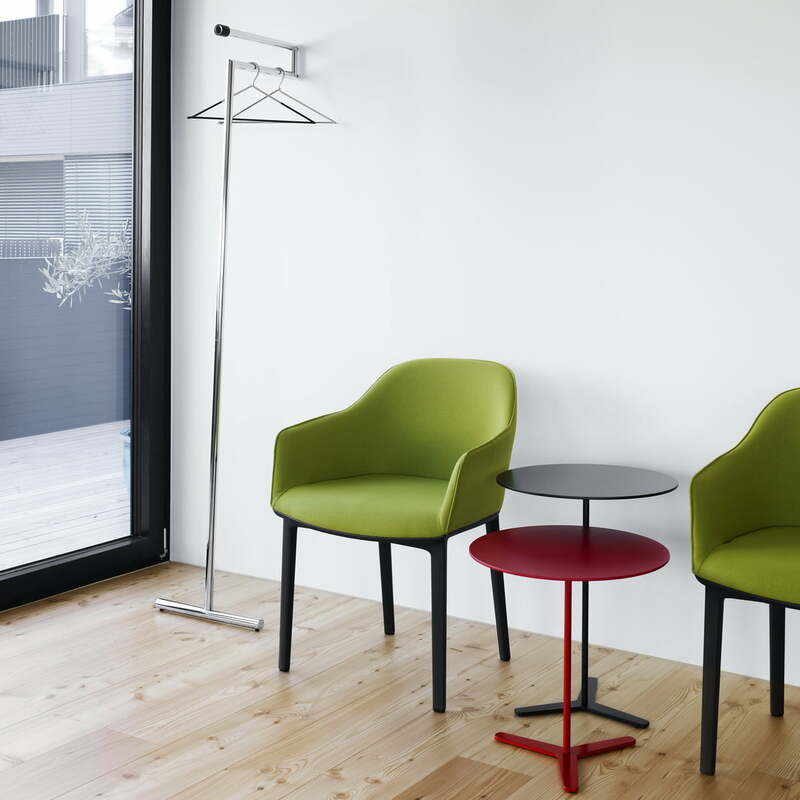 The Snap leaning coat and the Tre side table in grey and red by the label Mox look great in the entrance area thanks to the timeless and simple design. 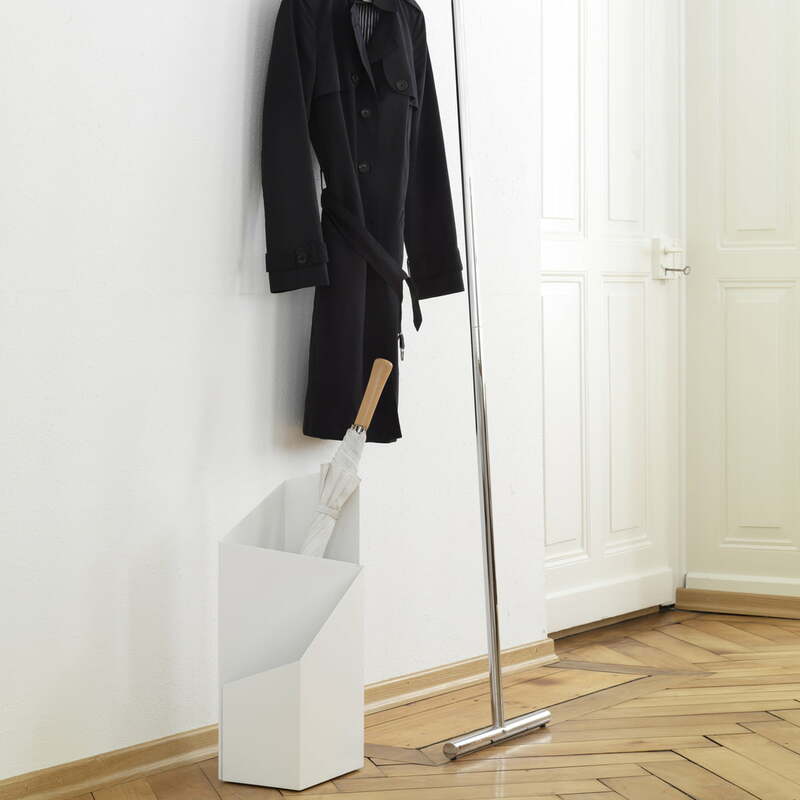 Via by the manufacturer Mox in white is a minimalist umbrella stand, which excels in form and function. The Snap leaning coat rack fits the look perfectly.